Cloud Computing for Free – Why pay for Office when it's free in the cloud? Fifteen years ago I became a serious investor. I didn’t want to pay the high commission costs that even discount brokers charged in those days. I wanted to make several very small purchases each month so that I could slowly build up a diversified portfolio of stocks. I learned abut Dividend Reinvestment Plans (DRIPs or sometimes DRPs). These plans allowed you to purchase stock directly from companies with little or no commission and dividends paid by your companies may be reinvested in additional shares of stock. The one acknowledged problem with DRIPs is that you had to keep all the individual records from each DRIP yourself. So I put all the investment information (number of shares purchased, price per share for that purchase, etc.) into Quicken. I kept the statements I received after each purchase and at the end of the year, I filed away the annual statement of all activity in the DRIP for that year. Although you can still open DRIPs (and I still have many of the original ones I started years ago), two things have happened to make them less appealing: the costs of DRIPs has generally gone up and the internet revolution has made it much cheaper to invest using an online discount broker. In many cases the cost of making a DRIP investment is higher than making the same investment at a discount broker online. I haven’t opened a new DRIP in over a decade. After moving many of my DRIPS to a discount broker, and selling others, I still have a core holding of 16 DRIPs. An annual statement runs between one and four pages, depending on how much activity took place in the DRIP. After 15 years, the information on these core DRIPs runs to several hundred pages and grows each year. If I decide to sell one of these investments, I’ll need these statements if the IRS questions my cost basis. I could simply leave the records in paper form, but suppose there is a fire, flood, or burglary — well maybe not a burglary since I can’t picture someone carting off these records that would be of no use to them. Another problem is that if I die without telling my heirs where these papers are located, they might well get tossed out as junk by someone who doesn’t understand their value. So, not surprisingly I decided to store them in the cloud. There are two phases to moving paper records to the cloud. One is the digitizing phase where the papers get transformed into computer files — I chose to save the data as PDF files. The second phase is to upload the computer files to the cloud. Converting paper files to computer files was greatly facilitated by my recently acquired Fujitsu ScanSnap S1500. 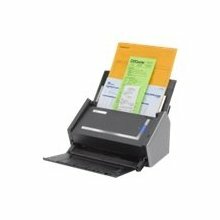 This is a great document scanner that I’ll describe it in detail in a future CCFF blogpost. A key characteristic is that it scans at a quoted rate of 20 pages per minute. So I loaded the 15 years worth of records for one DRIP into the “stacker” and pushed the blue button on the right side. In less than a minute, a PDF file was generated containing all the data for that DRIP. The paperwork, converted to PDF format, now was ready to be uploaded into the cloud. I had to make a decision about where in the cloud to store it. My first choice was Evernote (see previous blog post). I’ve been storing the majority of my online notes and documents in Evernote because of it’s great tagging and OCR capability. But in this case, I really don’t need to search and retrieve information from these DRIP records. So not wanting to clog up Evernote with information I’d never search for, I decided to more the files to Google Docs. The total storage requirement for all the DRIP information was less than 60 megabytes, which is only 5% of the total allocation for free users. It took only a few minutes to upload all the 16 files of DRIP information to my Google Docs account. What I really enjoyed was tossing all those hundreds of dusty pages into the recycle bin. Earlier I mentioned the issue that my heirs might not realize the importance of the DRIP (paper) records and toss them out, losing the opportunity to prove to the IRS the cost basis of the DRIPs. Now that the paper records are gone, replaced by cloud files, how do I inform my heirs of the location of this information? The solution: make them collaborators on the Google Docs folder containing these files. Now they have direct access to the folder of financial information right in their own Google Docs account. Everyone in my immediate family has a Google account, so there is no problem sharing these files with them. That was one reason why I chose to keep the information in Google Docs rather than in some equally useful cloud space. I’ll label the shared folder something like, “DRIP info for cost basis”. Now I think I’ll tackle the mountain of mutual fund statements that I’ve collected over the years! I’m beginning a series on free tools that are designed to edit photographs in the cloud. There is a surprisingly vast collection of free photo-ending applications in the cloud and I will cover many of them in the next several posts. These applications range from some very simple ones with limited features to one that is so sophisticated that it can, for many users replace Photoshop and the interface even looks like Photoshop. Also there is an application called Photoshop.com from Adobe that has a lot to nice features including a generous amount of free space to store your photographs. One of the first cloud photo applications was Picnik. Picnik gives you two free options. You can create an account with user ID and password and then you can store a limited number of jpegs on their website. Or you can select jpegs from your computer, work on them with Picnik and then save the results to your computer. This second alternative is not a true cloud computing solution since the files are not stored in the cloud, so if you want the complete benefits of the cloud, create an account and store your pictures online. You can also edit pictures that you have stored on Flickr, Facebook, or Picasa. The screenshot shows some of the things you can do with Picnik. Besides “Autofix”, you can rotate, crop, and resize an image. Among the image editing options are a fairly sophisticated exposure adjustment with some advanced features including a histogram display that can help you judge the proper exposure. You can adjust the colors in three ways: by letting Picnik guess the correct colors, by using a “neutral picker”, and by adjusting the color temperature and saturation. If the subject has “red-eye” from a flash that is close to the subject’s eye level, they you can fix the red-eye with the red-eye adjustment. 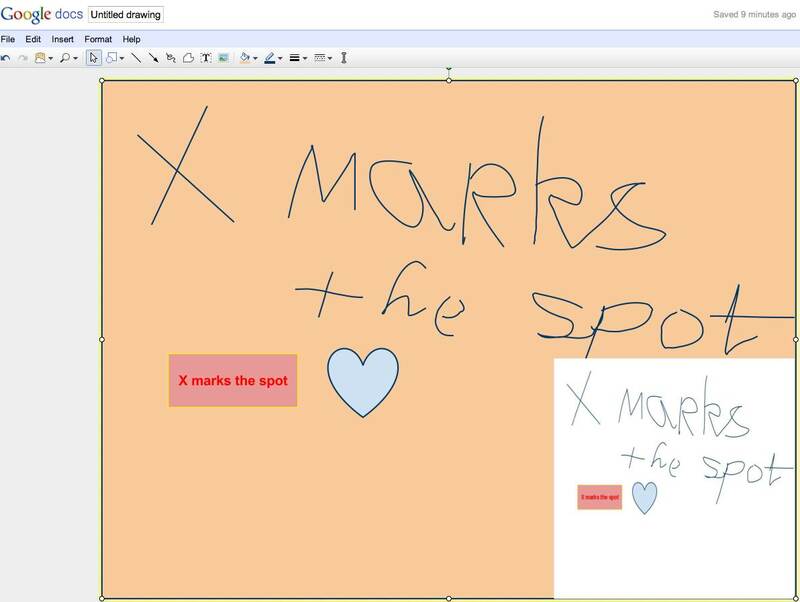 The create tab has many useful and fun capabilities. You can superimpose text in your choice of colors over the image. Your can transform the image by applying filters, such as black and White, Sepia, “Gritty”, etc. You can attach stickers and add one of several frames. There are some Touch-up tools that require a paid premium account. The premium account also lets you use the “Advanced” tab, with tools such as levels, curves, burning, dodging and cloning. If your requirements in a photo editor are fairly straight forward, take a look at Picnik. I’ve been told that “Dropbox” is a good place to store files in the cloud. Is that true? Dropbox is a wonderful online extension to your desktop computing, but it’s missing a key cloud component as we’ll see. When installed, Dropbox puts a folder on your desktop computer. It looks and works like any other folder (or directory) on your computer. You move files into your dropbox folder; you take files out of your Dropbox folder. If you put a Word document into the Dropbox folder, then you can edit it in Word directly in your Dropbox folder. The big deal is that you can put your Dropbox folder on every computer you use (home PC, laptop, work computer). You can even put it on your iPhone. Any files you store in the Dropbox folder are synchronized among all your computers. If you edit a file in the Dropbox folder at work and then return home, the file is on your home PC is identical with the file at work, with all the edits you performed at work in place. If you take your laptop to a hotspot and make a change to the file, the version on both your home computer and your work computer reflect this change. Dropbox has one more trick. Your files are accessible online (once you log in to the Dropbox website). If you visit a friend and use his computer’s browser, you can log on to Dropbox.com and access your file. You can download the file to your friends computer, make changes in the file and then upload it to Dropbox.com. Now your laptop, home computer, and work computer will all have this update. Amazing! But you said Dropbox isn’t a cloud computing site. It sure sounds like one. Why isn’t it in the cloud”? The key component that Dropbox is missing for cloud computing is there is no software to process files at the Dropbox website. Remember when you were at your friend’s house you had to download the file to his PC to work on it. That’s because there is no wordprocessing software (or other document processing software) at Dropbox. Even when you worked on your file at work, home, or on your laptop, your computer had to supply the software. If you didn’t have Word on one of the computers, then you couldn’t edit the file in the Dropbox folder. So Dropbox is a wonderful way to alway have access to a file on all your computers, but you have to do your processing on those computers and not in the cloud. Dropbox lets you store up to 2 gigabytes of data for free online, just not in the cloud.